Amid a statewide shortage of agricultural labor and housing, San Luis Obispo County is looking at overhauling its farmworker housing regulations, criticized by industry members as too restrictive. County officials held a public workshop on Oct. 16 to outline the direction of the new housing ordinance and receive feedback. Proposed reforms include allowing agricultural housing on smaller acreages, on land farther away from work sites, in more diverse land-use zones, and with more opportunities to obtain permits over the counter. FARM HOUSING WANTED San Luis Obispo County is overhauling its farmworker housing regulations to address a severe shortage of units. Industry leaders say SLO's regulations are outdated for their current labor needs, as farmers rely increasingly more on seasonal foreign workers hired through the federal H-2A program. Among H-2A's requirements is that the employer must provide housing and transportation, which has created a crunch for units across the Central Coast. 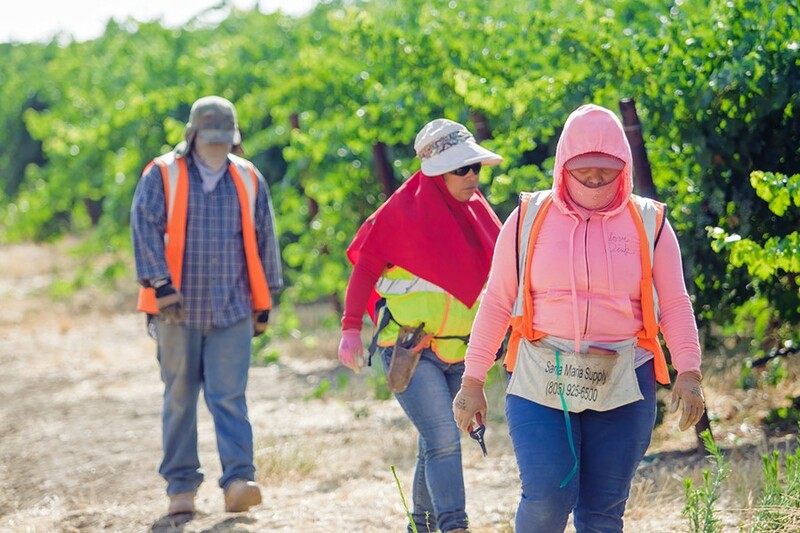 Much of SLO's H-2A workforce commutes from the Santa Maria Valley to South County fields, or from the Salinas Valley to Paso Robles wine country. SLO farmers seeking housing solutions on their own properties—for both their H-2A and domestic workforces—can be hampered by regulatory red tape. "Farmers are, at a high expense, having to buy properties in Oceano at a premium price to house [workers]," SLO County Farm Bureau Government Affairs Specialist James Green said at the workshop. Removing barriers to ag worker housing could allow multiple farmers to pursue a project on one site to house their employees, said Dana Merrill, owner of Mesa Vineyard Management, a Templeton-based firm. Under current regulations, that's challenging because housing must be located within 5 miles of a work site. "In South County, ag workers go from Oceano through Nipomo, down into Santa Maria and Guadalupe," said Brian Pedrotti, a senior planner for SLO County. "It's a much larger area, a regional type of thing." Of the roughly dozen or so attendees at the workshop, not all were in favor of loosening the rules for building farmworker housing. One attendee lamented a lack of diversity in the stakeholders consulted (mostly industry members), and expressed concern about whether ag housing is compatible with county residents and neighborhoods. He brought up the incident in April 2016 where an unknown arsonist set fire to a residential home built for H-2A farmworkers. Similarly, another attendee worried that expanding the number of land-use zones where housing could be built—currently only allowed in "agricultural" and "rural lands"—could lead to compatibility conflicts with neighboring landowners. County officials say they will continue to sculpt the ordinance, with plans to issue a public draft in December. The Board of Supervisors isn't expected to make a final decision on the revisions until fall 2019. Ordinance changes that affect the county's coastal zone—largely relevant to the Nipomo/Oceano area—also require the Coastal Commission's approval.